In 2018, the Road Transport Ministry of India announced uniform driving licences (DLs) and vehicle registration certificates (RCs) to be rolled out in Jul 2019. Currently, different States and Union Territories of the country issue DLs and RCs in their own formats. This has created chaos for both Traffic Police and the Government. From Jul 2019, DLs and RCs issued by all the States and Union Territories of the country will look the same. They will have same color, design and security features too. The ‘smart’ driving licences and vehicle registration certificates will have QR Codes and microchips. Also see how City admins are using QR Codes to make citizens’ lives simpler. It will solve the chaos that Traffic Police and the Government face due to different designs across the States and Union Territories. 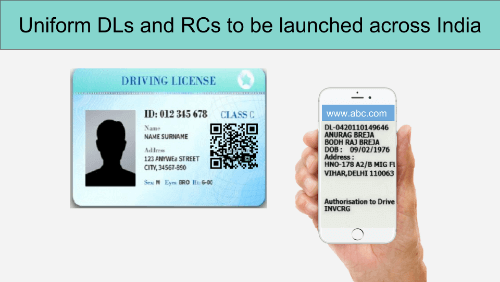 The new DLs and RCs will have QR Codes, microchips, and Near-field communication (NFC) system. Hence, traffic police officials with hand-held devices will be able to access driver’s/vehicle’s credentials easily. The feature of emission norm will be specified on the RC of a vehicle. This is to ease the process of carrying out pollution under control (PUC) test. Smart DLs and RCs will have driver’s declaration to donate organs. Also, new DLs and RCs will mention if the vehicle being used is meant for the physically challenged. Old DLs and RCs will be replaced gradually. 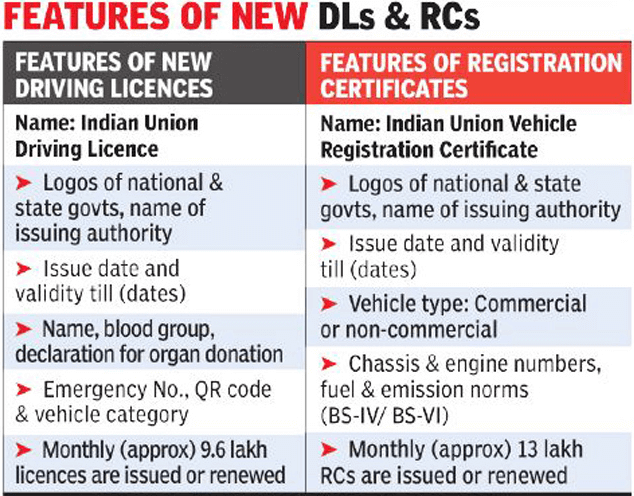 As one goes for renewal/re-registration of old DLs/RCs, the transport authorities will issue the new ones. Adding new features will cost approx. 15-20 INR/ DL or RC. That’s all you need to know about the launch of smart DLs and RCs in India.